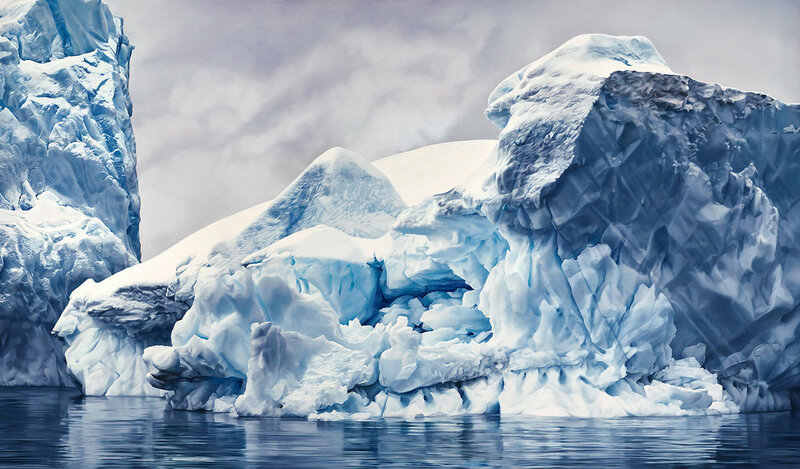 Zaria Forman’s pristine, photorealist paintings of the ocean and remote, icy landscapes are painted by hand—quite literally using her fingertips to render marks in paint and chalk, rather than brushes. 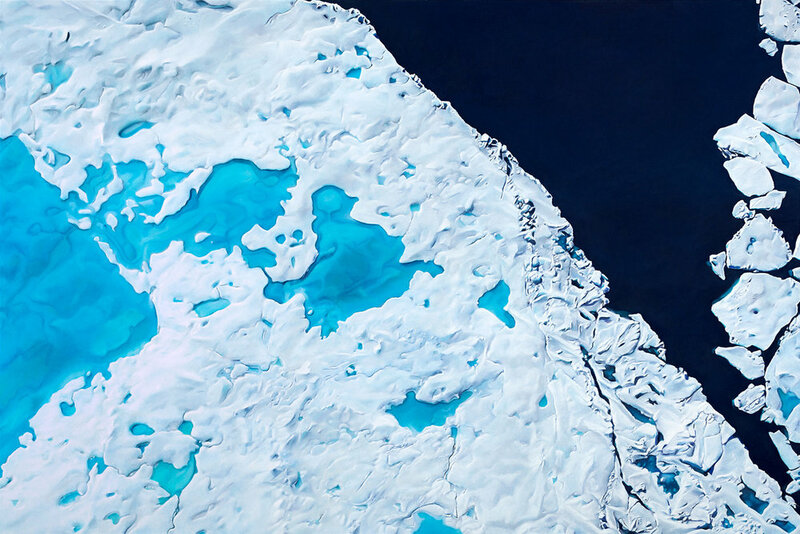 Traveling to far-flung corners of the globe affected by climate change, in order to source inspiration for her large-scale compositions, Forman takes photographs and creates sketches, working from these and her memory in the studio after she returns to the US. 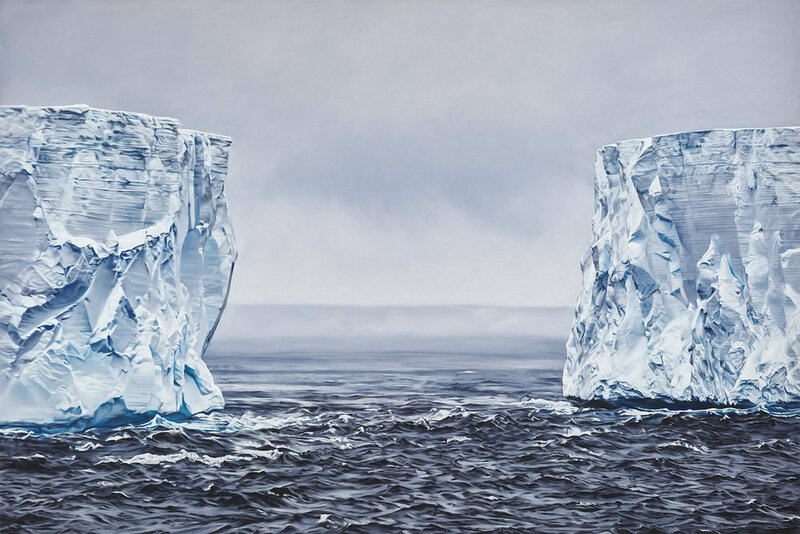 Past expeditions have included one to Greenland in which Forman retraced the 1869 journey of the American painter William Bradford. 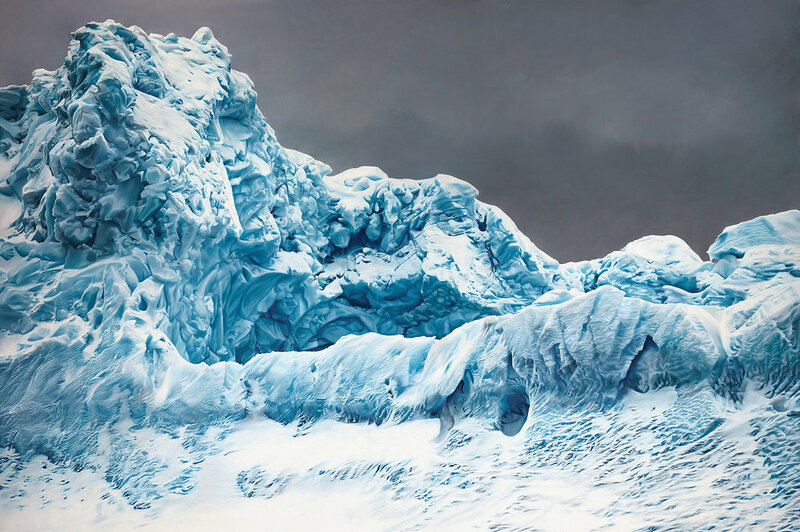 “In my work I explore moments of transition, turbulence and tranquility in the landscape and their impact on the viewer,” she has said. “In this process I am reminded of how small we are when confronted with the powerful forces of nature.” Her work has been featured in the set design for the Netflix series “House of Cards”, as well as in set designs for the ballet performances.